It’s the only great record they made. They made lots of great singles. This album is flawed. Mott The Hoople were a massively flawed band but when they were good, they were just so good. I don’t think the production on this record is better than All The Young Dudes. I think the production is perfect for Bowie, but they learnt from working with Bowie and with Guy Stevens, who produced London Calling. They were smart enough to absorb what was good from those people and they’d been able to finally do it themselves. 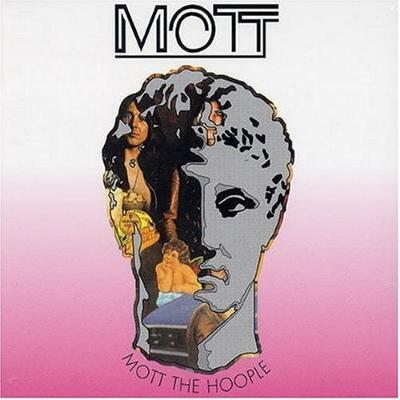 Mott The Hoople made about five albums before this one that had not been that great. Even the All The Young Dudes album isn’t that great. This album has a couple of weak songs, but the sound of the band, especially the sound of Mick Ralphs’ lead guitar against Ian Hunter’s piano and song structure is great. Hunter was leaning heavily on Bob Dylan in terms of how a song can be soulful at the same time as being angry at the same time as being rock & roll. There are a couple of moments where the guitar solo comes in where the song almost breaks down completely, and Hunter says something like: “You know you realise that you’re… you’re just a punk.” And then the guitar comes in. Every time I hear it I still think, “Ah, this is amazing”. Just moments of how great rock & roll can be. Like ‘Complete Control’ by The Clash.